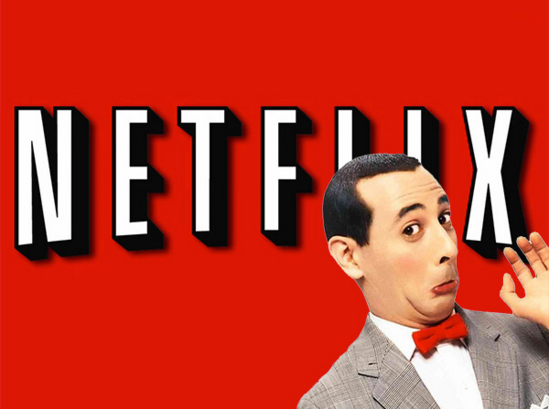 Last month, Netflix teased everyone with an announcement trailer for a new “Pee-Wee Herman” installment, Pee-wee’s Big Holiday, the streaming service giant’s feature-length film starring the character made famous by “Paul Reubens“. The 39-second clip featured a brief montage of shots seemingly made specifically for the trailer itself and a release date of March 18. An occasional post on the character’s official blog (by Reubens) has been the only other news regarding filming…until now. 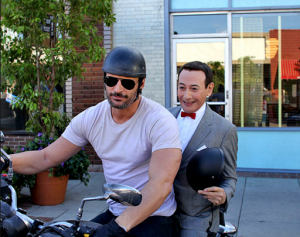 Netflix posted its first full trailer for Pee-wee’s Big Holiday on Tuesday, and it’s packed with nearly two-and-a-half minutes’ worth of new footage, minor plot points and that iconic Herman laugh. 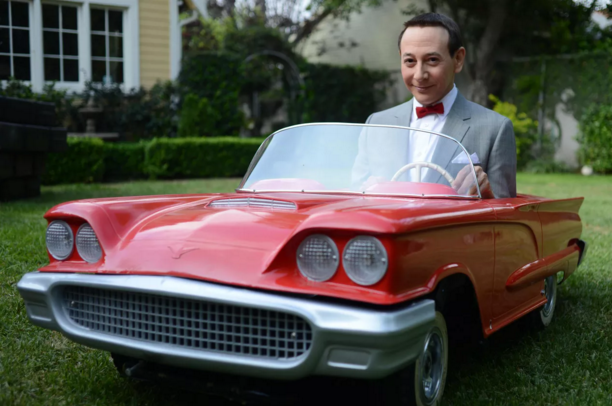 It’s everything Pee-wee Herman fans could want in a trailer, and more. Big Holiday centers around a “fateful meeting with a mysterious stranger inspires Pee-wee Herman to take his first-ever holiday in this epic story of friendship and destiny.” The trailer confirms the story line with occasional bits of dialogue that suggest Pee-Wee has never left the town of Fairville, a picturesque town in which everything is perfect and everyone is totally accepting of Pee-Wee, an otherwise overgrown man-child. When Joe Manganiello’s character shows up, however, he inspires Herman to leave the town and embark on an adventure! One that includes female bank robbers, roughians, Amish and many, many more. The film is produced by Reubens and Judd Apatow, co-written by Reubens and Love‘s Paul Rust, and directed by John Lee. Pee-wee’s Big Holiday will be available to stream on Friday, March 18 exclusively on Netflix.